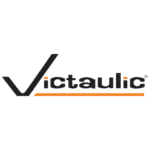 Innovative Stadium Piping: Victaulic large diameter solutions lead to easy installation, ensuring completion in time for Super Bowl LIII. Almost 10 miles of piping and over 5,000 joints were needed to build the $1.5 billion Mercedes-Benz Stadium in Atlanta, Georgia, and Tebarco Mechanical was tasked with finding an innovative stadium piping solution for its heating, cooling and potable water systems. Faced with a tight timeline and unique stadium architecture, Tebarco found the perfect fit with Victaulic’s Advanced Grooved System (AGS) couplings. These AGS flexible couplings allowed for easy installation and visual inspection at various heights and angles, in spaces where welding was just not feasible. Victaulic’s Applications Engineering team also reviewed drawings to determine the best way to contend with the stadium’s thermal movement. Click here to read more about this innovative stadium piping project in the February 2019 issue of Engineered Systems.